So you've decided you want to visit Iceland (an excellent decision!) Now you need to figure out when to go on your trip. With its chill-inducing name, high northerly location, and claim to fame as the Land Beyond the Wall in Game of Thrones, Iceland tends to conjure up mental images of phenomenal natural wonders set amidst lashings of snow. But in reality, this picture is only half right. While Iceland does boast some of the most jaw-dropping scenery on earth, with waterfalls, volcanoes, mountains, thermal springs and geysers galore, during the summer months it is a land of lush greenery and constant daylight. To say that the country's climate, conditions and to-dos are diverse is something of an understatement. And as you've probably noticed, the one thing that most of Iceland's big attractions do have in common is the fact that they are outside, bound up in nature. With this in mind, exactly what you wish to do and see in Iceland is a big factor in deciding when to travel to the country. The best time to visit Iceland is in June, July and August, when the days are at their longest and temps slightly higher, which means you can make the most of outdoor activities. The first half of September in particular - when these perks are still in play but the tourist crowds have left - is a brilliant time to visit. However, there are some exceptions to this rule. If you wish to see the Northern Lights, for example, then the best time to visit Iceland is between late September and early April, when there will be enough darkness. To spot wildlife such as whales and puffins, travelling during spring should be your priority. 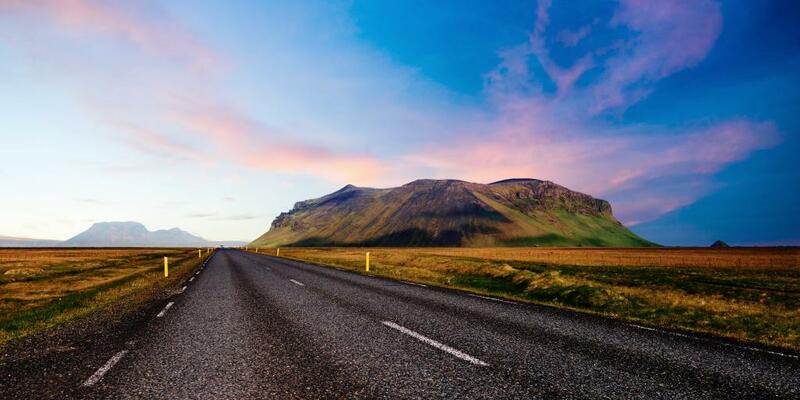 The popularity of road tripping around Iceland's Golden Circle route, which covers almost 200 miles and takes in some of the country's most important sights, has boomed in recent years, with individuals travelling from far and wide to see the country in this way. But is it realistic to do so at any time of year? 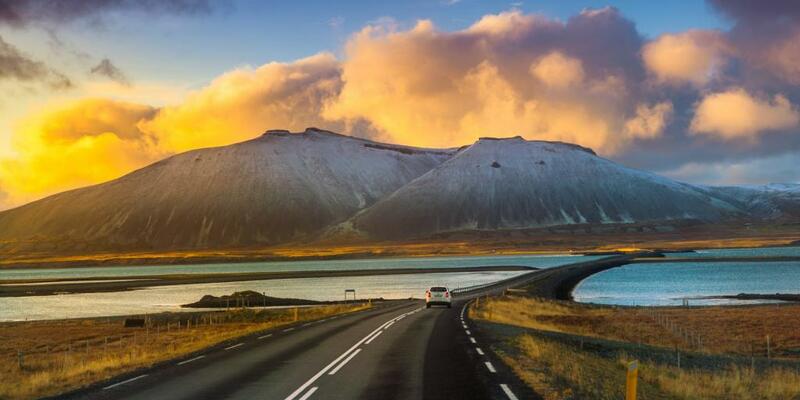 Well, undoubtedly the best time to take an Iceland road trip is during the summer months or early autumn, when weather conditions should be fair and the sights should be easily accessible. If you are planning on driving in Iceland in winter then note that while it is perfectly possible to do so, as roads are generally kept in good condition, there are a few things you will need to remember. The first is that you will need to be confident, comfortable and prepared for driving in snowy conditions. The second is that you'll need to check for road closures before you head out on any stretch of your journey. Last but not least, you need to make sure you pick a winter-weather appropriate car, most likely a 4x4. Painting the night sky with greens, pinks and purples, the Northern Lights are one of Iceland's most incredible natural occurrences and one of its biggest draws. But if you're hoping to tick aurora borealis off your bucket list, then you'll need to visit the country between September and April, during which time the sun actually sets and the sky is dark enough for them to be visible. Sorry, fair-weather hikers! Unfortunately, it's hard to predict more than a few days in advance how likely they are to make an appearance, owing to the fact that cloud cover and solar energy both have a heavy influence on visibility. However, planning your trip to avoid events such as a full moon will leave you with a better likelihood of seeing the lights, as the sky needs to be as dark as possible. Even with all of the boxes ticked, whether or not you get to see the lights is still going to depend a little on luck. 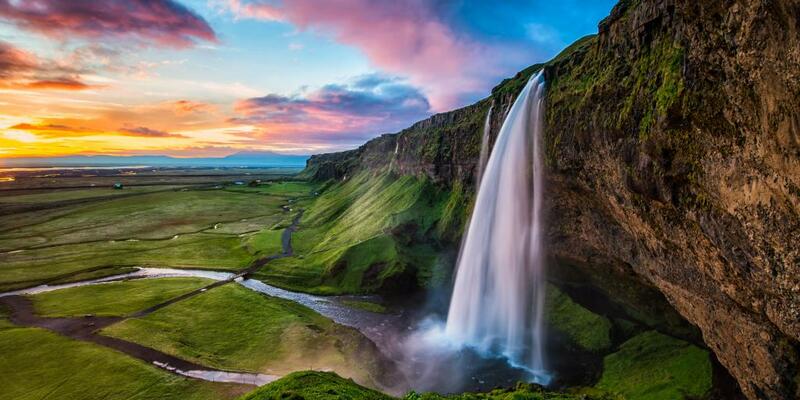 Rest assured though, Iceland is still considered one of the premier places in the world to see them. Good luck! As we've already mentioned, Iceland is famous for its ability to awe with its natural wonders, but with hiking trails and swimming spots dotted all over the island, it's more than this - it's actually somewhere that you can really get up close and personal with nature. Doing so in the deep dark depths of winter, however, would be questionable at best; if you're planning to get out of the car and go exploring on foot, then a trip during July or August is the best option. This isn't only from a temperature or sunshine point of view (no one enjoys having goosebumps), but from a safety one too - getting lost on a hike when there are only a few hours of daylight is a bad idea. Plus, with more daylight hours, you'll be able to pack more in. 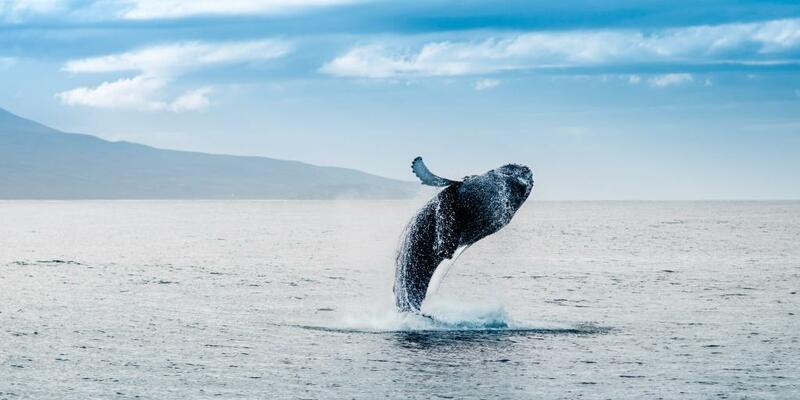 If you're an animal lover, it would be a shame to visit Iceland without taking a boat trip out to watch whales in their natural habitat, or catching a glimpse of the country's legendary puffin colonies. Although it is possible all year round, the best time for whale watching in Iceland is during the summer, when boat trips are less likely to be cancelled because of the weather, there are more species moving around the waters, and you'll be able to spend more time out on deck. Overall, the best individual month to spot these beautiful creatures is June. Puffin seasons starts slightly earlier, in April, and runs until mid-August. Another tick in the box for travelling in June, it would seem. 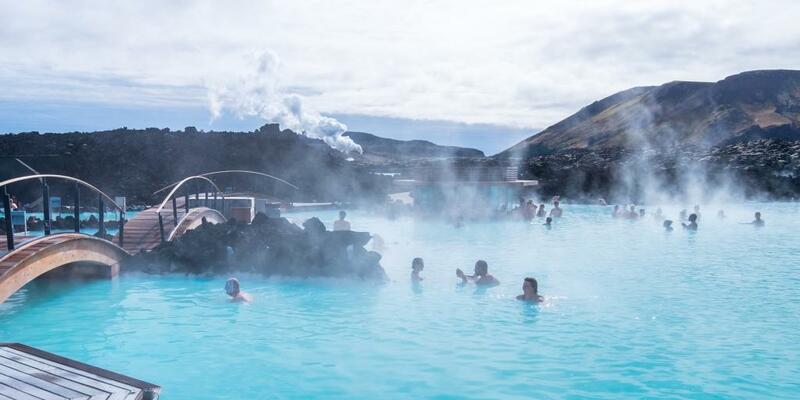 It's no secret that Iceland isn't the cheapest of countries to visit (and that's putting it mildly), but that doesn't mean that only millionaires need apply. 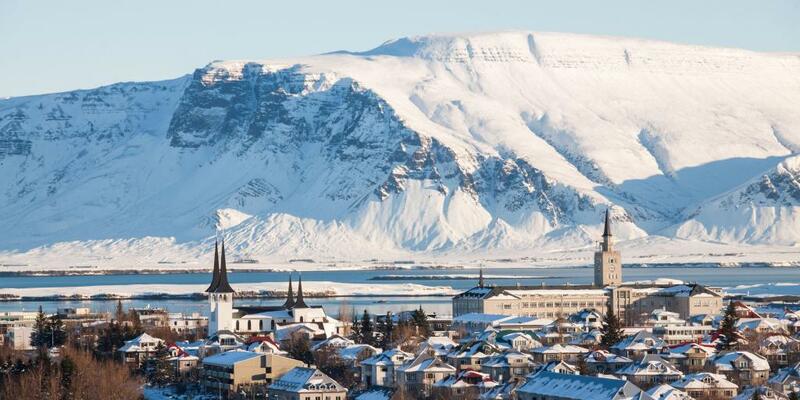 Instead, it's simply a matter of timing your trip to fit in with your cash flow; the best time to visit Iceland if you're on a budget will be during the low-season winter months of November, January and February. Unfortunately, this means that you'll experience only a few hours of daylight, so you'll have to move more of your activities indoors. On the bright side, there are certainly activities on offer to keep you occupied, including getting stuck into Icelandic tasting menus or even visiting the Icelandic Phallological Museum. Take a look at our guide just below to see what else is going on during these months! January in Iceland is low-season for a reason: the days are dark and everyone's exhausted after the Christmas festivities. It's a bit like the post-lunch slump, but on a national level. But as we said before, this is a cheaper time of year to visit, leaving you with more pennies to spend on activities such as visiting ice caves or snowmobiling. Plus, it's the month of some of the calendar's more quirky fixtures. Among them is the Þorrablót feast, part of a Viking midwinter festival that runs from mid-January to mid-February, which is the first major event of the year and offers the chance to taste traditional Icelandic foods. If there's one thing that's sure warm you up it's a drop of brennivín (a potent schnapps) and a slice of hrútspungar, sheep testicles served in a 'loaf'. In February, Reykjavik's Winter Lights Festival sees light shows illuminating the city, designed to give a little mid-winter mood booster to its residents and celebrate the fact that longer days are just around the corner. As part of this, but still an event in its own right, Museums Night - usually held towards the start of February - sees institutions across the city throw open their doors for a night to host cultural events including live expressive arts performances, lectures and literature readings. Similarly, Pool Night allows visitors to use the incredible thermal pools for free for a night, during which time illuminations are shown. The chance to see the Northern Lights from a natural hot tub? Yes please. 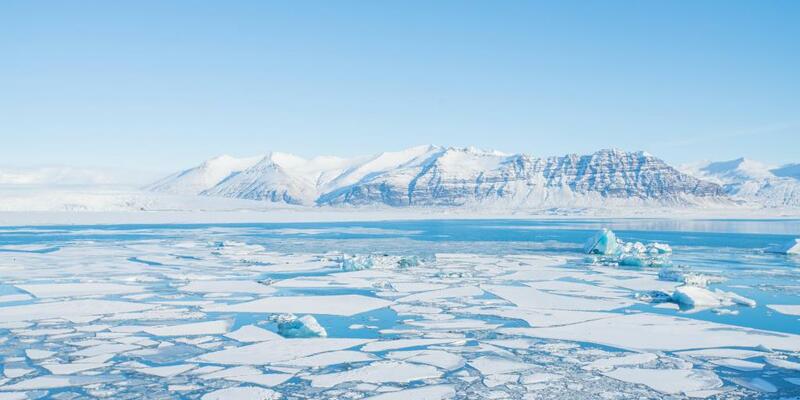 If we had to think of one word to describe Iceland in March, it would be fun. On the 1st of March every year, the country holds a national Beer Day, celebrating the end of the prohibition of alcohol in 1989, which lasted 74 years. Now, revellers take part in pub crawls around the country, with festivities often lasting until the wee hours of the morning. Over in the town of Akureyri, the Iceland Winter Games spring into life as some of the country's finest free-skiers and snowboarders hit the slopes, dog sledders are put through their paces, and Arctic horse riders saddle up. 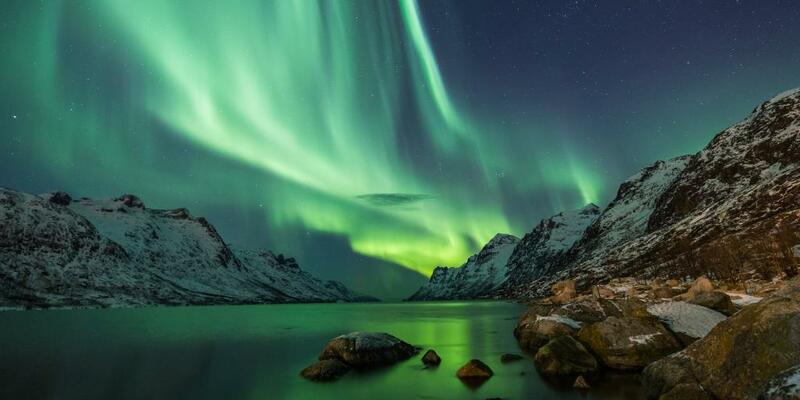 Although technically still around until mid-April, March is also your best 'last chance' to see the Northern Lights. As spring creeps in and the days lengthen, April makes for a pleasant - if still chilly - time to travel. With roads now more drive-able and temperatures back out of the minuses, road trip season also steps up a gear, although it is still quieter than the peak months. 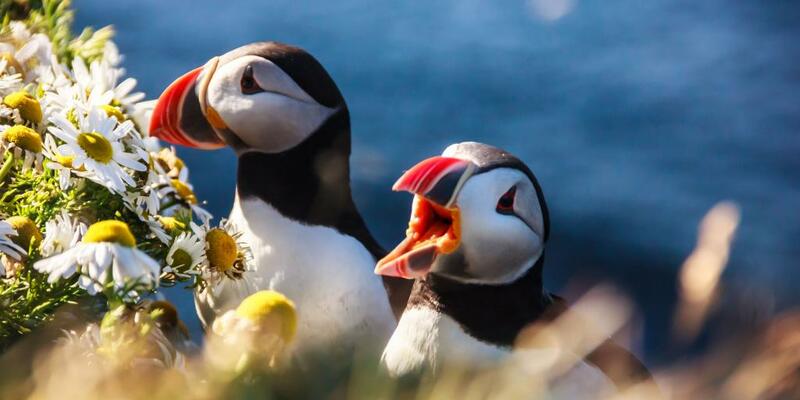 April is the best month to visit Iceland to see puffins, as the birds flock back to dry land en masse to form breeding colonies, spending the summer months here nesting. In fact, about 60% of the world's puffins come to this one island! As spring fully kicks in, taking part in Iceland's array of outdoor activities finally becomes possible once more, with whale watching, hiking, scuba diving and mountain biking just some of the options on offer. Every two years the Reykjavik Arts Festival takes place in Iceland's capital, with artists from all over the world descending on the city to exhibit and perform. Although usually considered shoulder season in other countries, June marks the start of high season in Iceland; even if you're road tripping and have the freedom to move around easily, you'll need to remember to book your beds in advance. Events wise, National Iceland Day takes place on the 17th of June, with family-friendly celebrations taking place across the country. June is arguably the best time for adventure lovers to visit Iceland, with the Summer Solstice on the 21st - the day on which the 'land of the midnight sun' becomes a real thing - sealing the deal. On this day, the sun only grazes the horizon, before rising again immediately. Aside from being a great time to visit locations such as Þingvellir National Park, July is the best month to visit Iceland if you're hoping to attend some fairly unique festivals. Landsmót Hestamanna, a bi-annual horse competition that's more akin to a giant country fair, has food stalls, games, and an eclectic mix of entertainers alongside all of the equestrian action. Rock fans will appreciate Eistnaflug, a rock, punk and heavy metal festival that takes place in a pretty lakeside town; those not so keen on the headbanging may prefer the intimate and mellow Bræðslan Festival. A bit like the grown-up version of June's National Iceland Day, Þjóðhátíð takes place during Iceland's early August bank holiday and sees locals on the island of Heimaey make up for the time their post constitution-signing party was cancelled - over 140 years ago - by drinking, dancing and watching fireworks. As we said before, September is one of the best months to visit Iceland; the large majority of attractions are still open, temperatures are still high (well, by Icelandic standards), prices drop and the crowds head home. 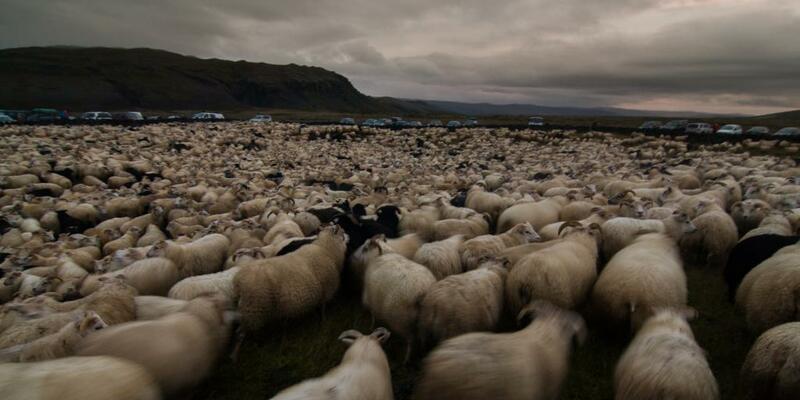 Topping the list of the month's most interesting cultural events is réttir , when farmers round up the sheep that have grazed in the wild over the summer. Traditionally done on horseback and on foot, the event sees friends, family and even spectators being invited to join in the fun, before it closes with an evening of singing and dancing. October is when Iceland starts to slow down for the winter, as the days become significantly shorter, the cold begins to bite and the weather becomes more and more unpredictable. 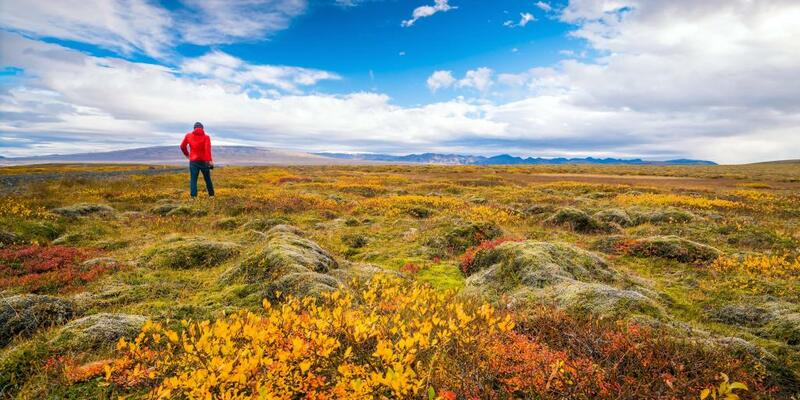 Despite these things, autumn in Iceland is an underrated beast - the Northern Lights are back in action, and boasting such a great expanse of wild open spaces, the fall colours make for an impressive sight. One of the slowest months of the year, November is the time to visit Iceland if you are on a budget. Don't worry, it's just as magical as any other month of the year, and with fewer other visitors around, this is a great time to relax to the max in the country's thermal pools. If you happen to be travelling to east Iceland, time your trip so that you can hit up the Dagar Myrkurs (Days of Darkness Festival), which welcomes winter with lively dark dances, the telling of ghost stories, torch-lit processions and magic shows. As the darkest month of the year (around the winter solstice, there can be as few as three daylight hours!) it would be easy to assume that December in Iceland would be a write-off, but in fact, it comes with a charm all of its own. Although not a hot spot for Christmas markets in the way of Hamburg or Vienna, in the last few years, Reykjavik's winter market scene has been growing, with pop-up events happening all over the capital. 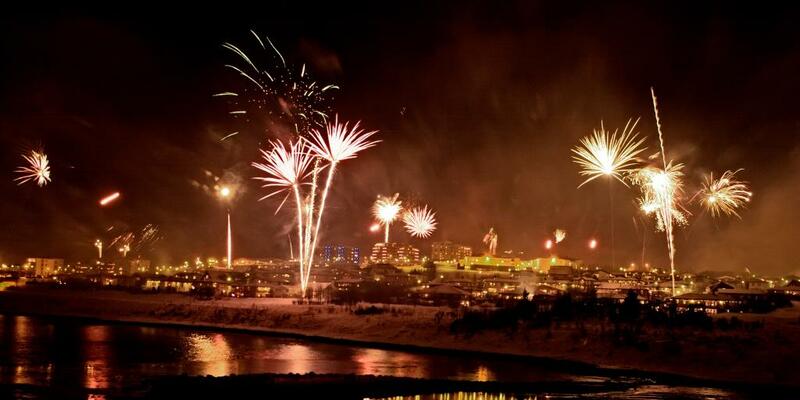 If you get the opportunity to be in Reykjavik on New Year's Eve, you won't be disappointed; the city's communal bonfires will warm your cold heart and the DIY fireworks displays are not to be missed.